My boyfriend's sister invited us out to eat with her and we decided to go cause why not? Trying out a new restaurant and eating food? Uh, yaaas! 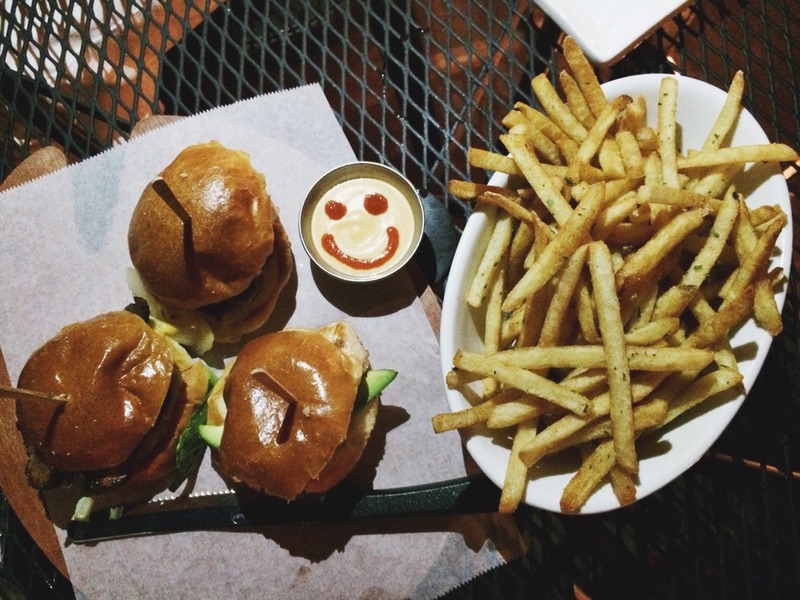 Jack's Slider and Sushi is located near St. Marks. 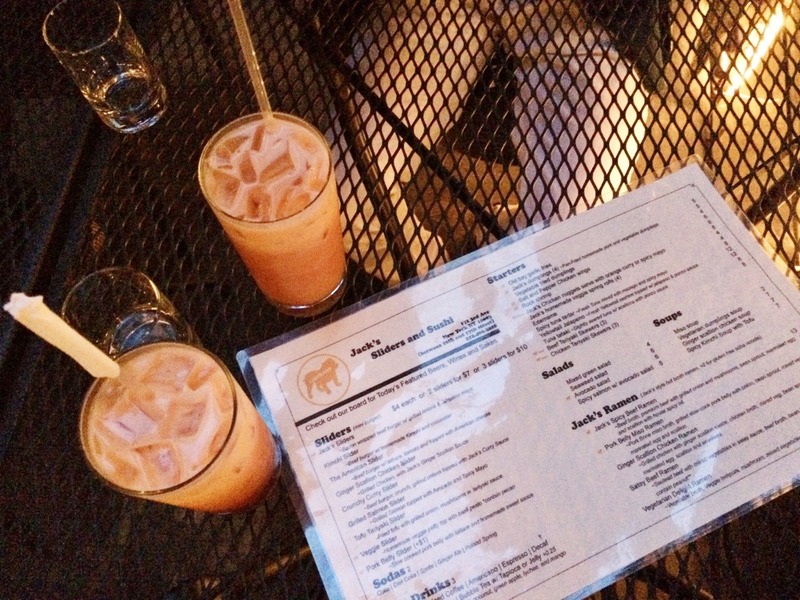 Before coming here, we read reviews on this place to see what was good and many people raved about their Thai Iced tea. Hearing that, we had to try for ourselves. Personally I did not enjoy it at all. It tasted like plastic somehow and I couldn't drink it. Their customer service was great though and allowed me to switch it for another drink. Instead, I got their coconut drink with rainbow jelly and that was much better. Since they had 3 for $10 sliders, my boyfriend and I decided to split them in half so we can try different flavors. We ordered the Pork Belly Slider, Crunchy Curry, and Grilled Salmon. I enjoyed the grilled salmon a lot since I love salmon and avocado. I mean, who doesn't like avocado? (My boyfriend claims he's allergic. *rolls eyes* Okay.) The other sliders were alright but if they were rated from 1-3 with 1 being the best, first place would go to the grilled salmon, then the pork belly, and lastly, the crunchy curry. The others liked pork belly the best so if you're looking to try, I'd suggest taking their suggestions on the sliders than mine. 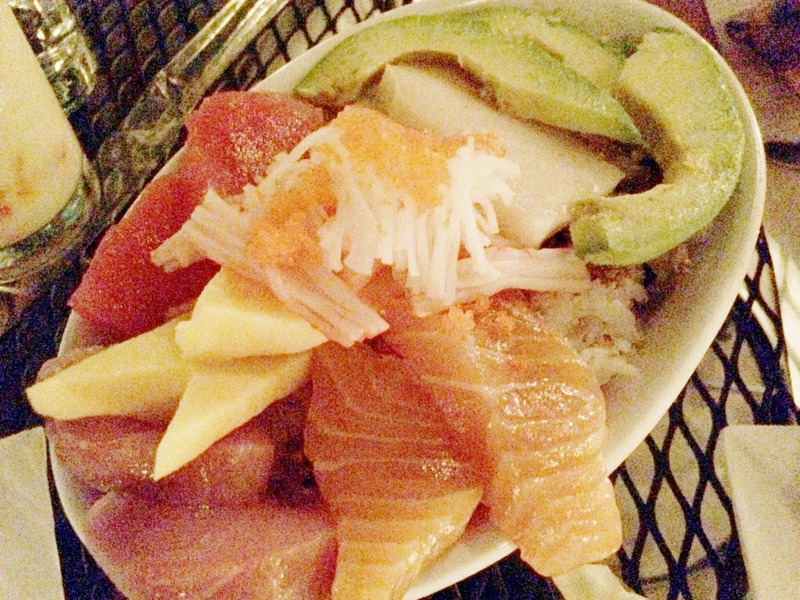 For the entree, I ordered myself a chirashi bowl, which is something I've been meaning to try for a very long time. I've always seen people raving about chirashi bowls on Instagram but have never found a place that really had this on their menu. Maybe I wasn't looking clear enough, who knows. My first chirashi bowl experience was a good one. I genuinely enjoyed the dish and felt the fish was fresh. There was a melt in my mouth sensation when I put ate that sashimi. They also give you avocado with the dish which is just a cherry on top for me. I LOVE AVOCADO. Overall, the chirashi bowl was a success and decently priced at $20. I'd definitely recommend it to other trying this place out for the first time. 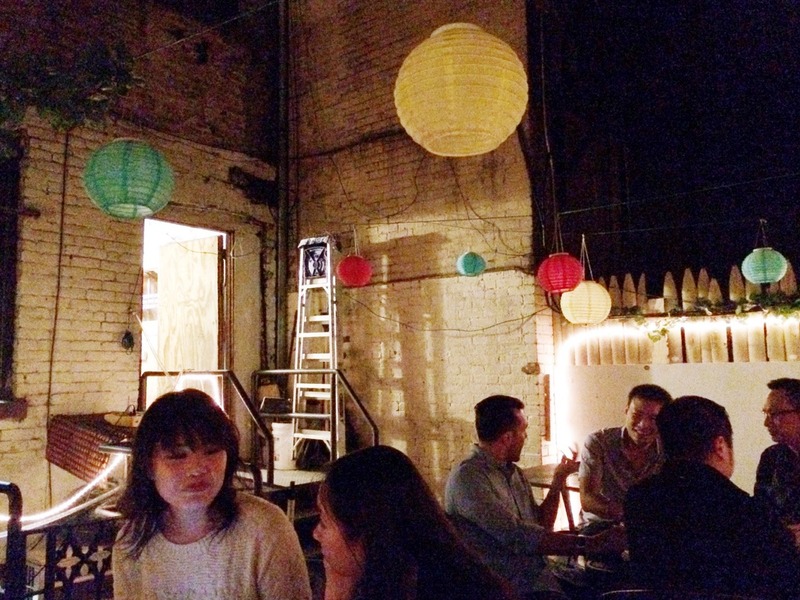 They also have a patio in the back which was a nice surprise, but I'd prefer sitting inside. The air and surroundings is better inside than outside. However, if you're a bigger group, sitting outside might be better since you'll have more privacy. Overall, I'd rate this place 3.5/4 stars out of 5.